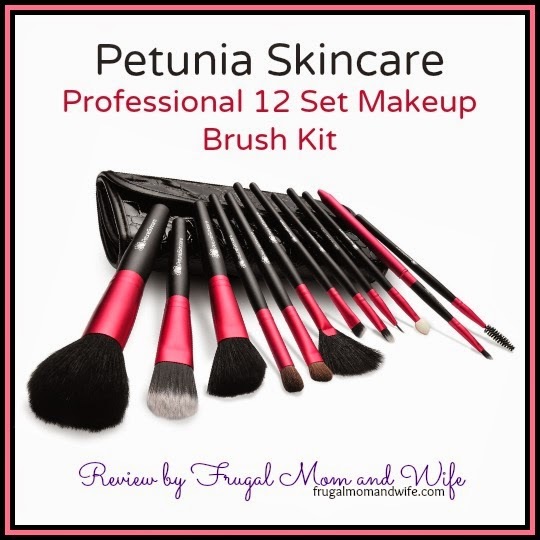 Frugal Mom and Wife: Petunia Skincare Professional 12 Set Makeup Brush Kit Review! 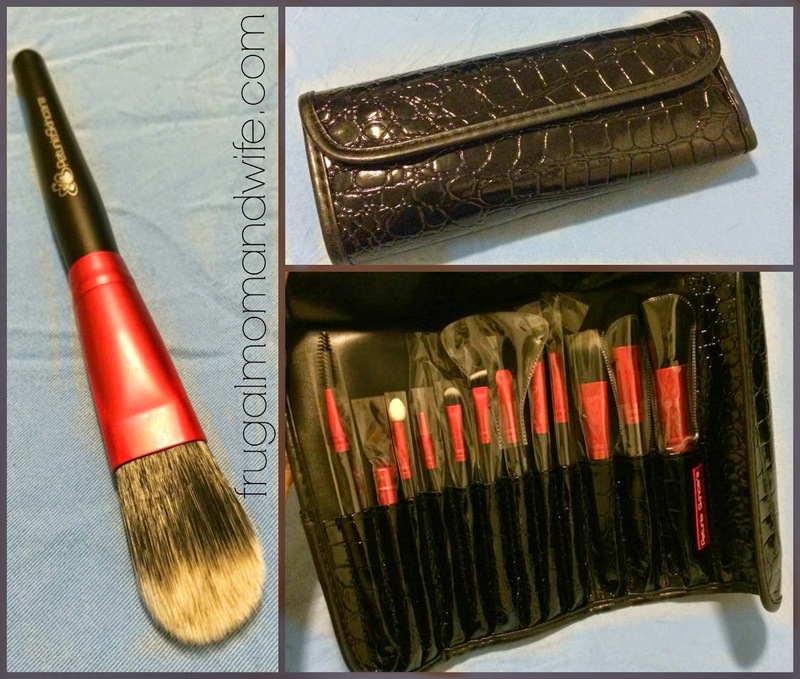 Petunia Skincare Professional 12 Set Makeup Brush Kit Review! When it comes to makeup I like a variety and to change things up every now and then. I go through brushes never having the right one I need for that spur of the moment transformation. That's why finding a nice quality durable brush set is most ideal for my situation. Nestled in a sleek and convenient on-the-go pouch, Petunia Skincare has the most elegant brush set provides a complete assortment of brushes for all types of makeup applications. No longer will you need to buy separate brushes, with this gorgeous complete set I can change things up on a whim. BONUS: BRUSH GUARDS INCLUDED FOR FREE. Helps your brushes maintain shape and looking great. Handmade from Natural and Synthetic Hair for a Precise and Soft Application. Their brushes are made with a combination of high quality pony hair, goat hair, and synthetic hair. Synthetic brushes are great for liquid-based makeup, while natural hair brushes pick up and distribute powder makeup evenly and smoothly. They are super soft and silky on top, yet durable and long lasting at the bottom, and with continuous use these brushes get even softer. They allows you to apply colors smoothly and pigment does not cling to hairs after application, enabling you to blend and reuse colors without cleaning after each use. These brushes do not need to be cleaned frequently, but when needed, run them through warm water, then clean with a gentle shampoo, and rinse thoroughly. Place brushes on a clean surface to air dry or blow dry. 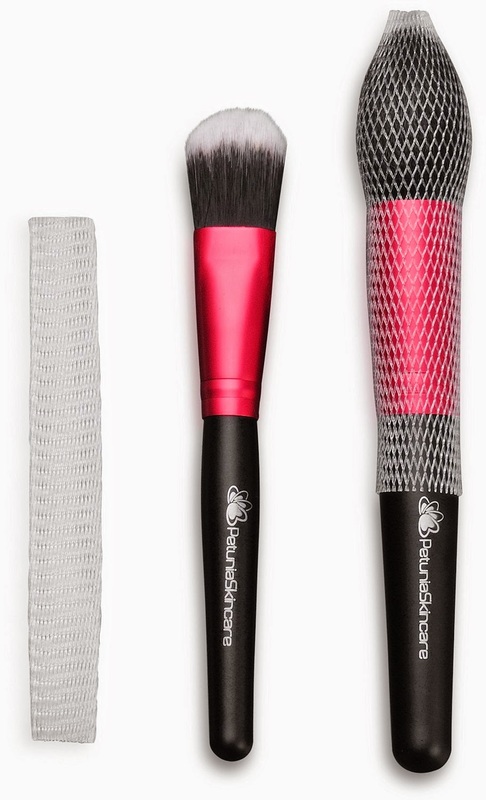 Kept in a sleek folding pouch that is convenient to bring around and protects the brushes from dust and dirt. Petunia Skincare is a proud member of People for the Ethical Treatment of Animals (PETA), and does not test any products on animals. 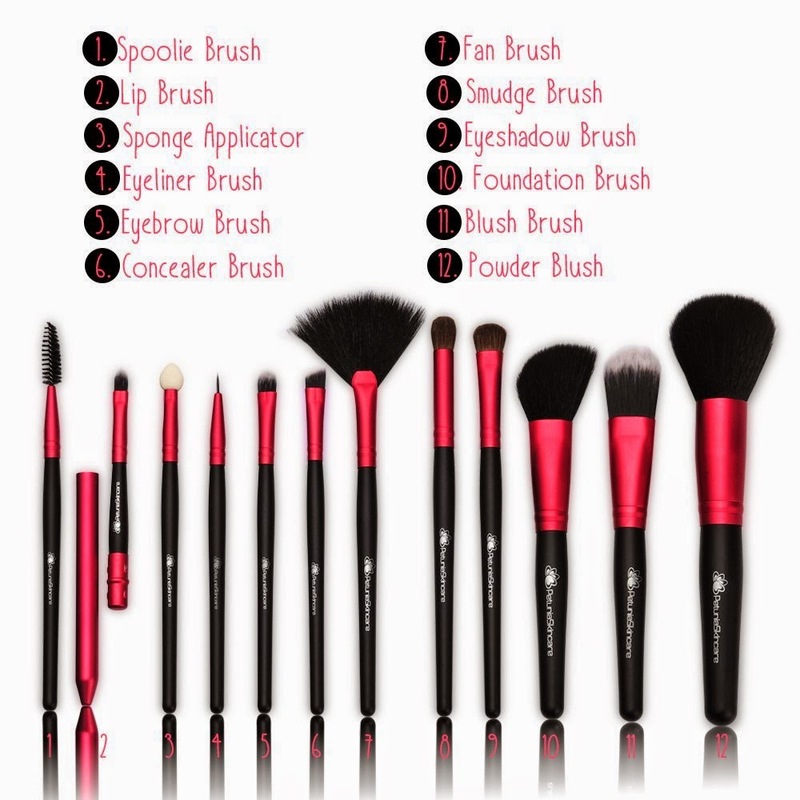 Petunia Skincare's Professional 12 Set Makeup Brush Kit will be the only brush set you'll ever need. I love the overall quality of this brush set. The case isn't that of cheap plastic that's just going tare apart over time. The case is thick enough to secure all the brushes but flexible enough roll into a nice kit complete with button closure. Each brush has it's own home inside the kit and the covers are just wonderful to have to keep my brushes looking their best. I want my brushes to last and this way they are secure and all in one place. No more hunting down my eyeshadow brush! The hot pink is so adorable, I love the design. Each brush is build tough with no loose hairs or wiggly metal stems. The hair feels soft and is very easy to clean. What is the overall best feature besides the outstanding quality, no animals being harmed to make them! 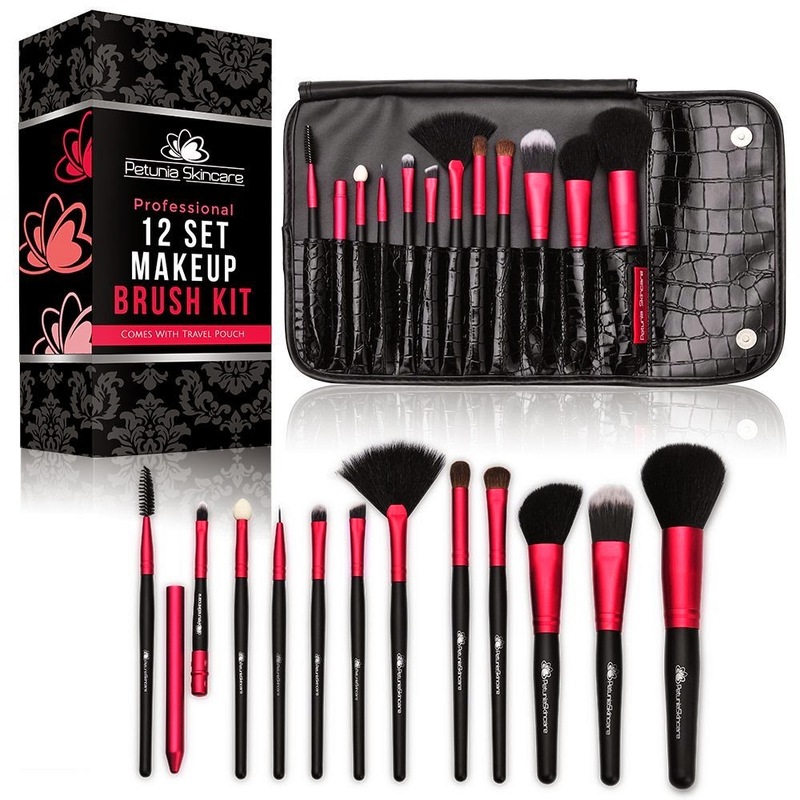 I highly recommend this set to anyone looking for the perfect beauty tools to complete their everyday beauty routine. I have these brushes and I love them! They are a nice light weight and are easy to carry around in the case. That is a gorgeous set of brushes. I never seem to have enough brushes.